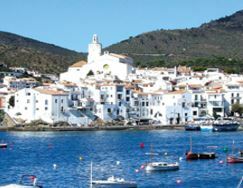 Situated right on the Cap de Creus peninsula, Cadaqués is one of the most symbolic places on the Gironese Costa Brava. Its rocky coast, fringed by beautiful beaches and quiet coves, forms one of its main attractions, together with the incredible landscape offered by the Cap de Creus Natural Park. 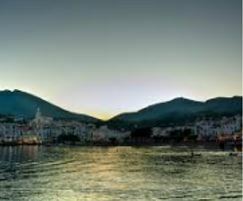 At the head of Cadaqués bay is its historic quarter, with a Mediterranean air and deep seaside flavour. Distance: 30km. After breakfast, transfer from Vilamaniscle to Cadaqués. Cadaqués is considered one of the most beautiful villages of the Costa Brava, with its white houses and the atmosphere of the Mediterranean fishing village. Today, you will enter into a lunar landscape. The road takes you to the heart of Cap de Creus Natural Park to reach the lighthouse, from where you have great views of the rocky relief of the Costa Brava. While returning, we recommend you to stop at Dalí’s house in Portlligat, which the second museum of the painter. Time to have a beer in Cadaqués. In the afternoon, the shuttle will pick you up to go to sleep at Vilamaniscle. Distance: 50km. 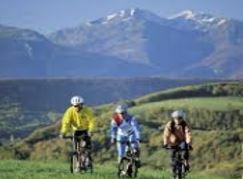 Once you leave L’Estartit, you will go to the inland of Baix Empordà. 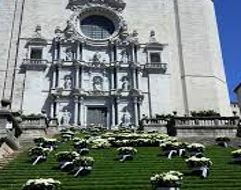 You can visit beautiful medieval villages, like Peratallada or Ullastret and you will pass across a big variety of landscapes to arrive at the fantastic historical site of Pals. Your last stop is Calella de Palafrugell, one of the best villages in Catalonia. 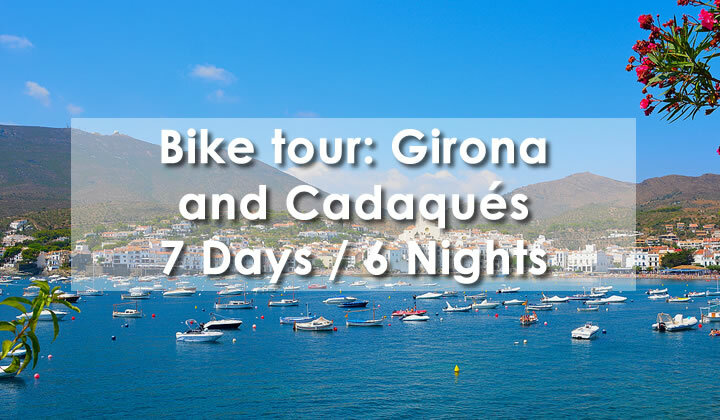 Free day in Calella and transfer to the airport or the departure point or…why not stay two or three days more to enjoy one of the most beautiful sites of Costa Brava or continue riding through Dali’s Trail?